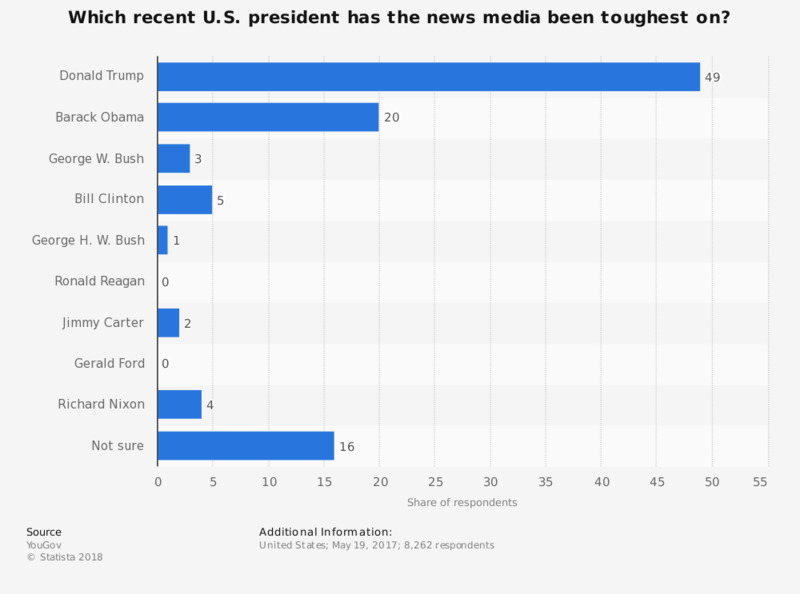 The statistic contains data from a survey on which U.S. president the news media has been toughest on in the United States in 2017. During the survey, 49 percent of respondents believed that the news media had been toughest on Donald Trump. Statistics on "Soccer and media in Italy"